Our Animation Director, Swain Fuller attended an amazing workshop at Kremer Pigments this past weekend. We look to create custom watercolor gouache paints for the watercolor backgrounds that we create. As we moved forward into an explosive future, as we get ready completer production, on our first full length animation movie Ani and Tetisheri. We would like to post a throwback to when we got one of our short 10s (10 second) Short Animations in our first film festival, in Seoul, South Korea. Our Film Director and Executive Producer Swain Fuller, spent a wonderful time last week October 22-26, 2018, at the Fast Company Innovation Festival in New York City for industry leaders. Look out for new partnerships, and collaborations based on the meetings that took place all week last week. We will be present at the 3rd annual ANNY Best of Fest, Animation Nights New York www.animationnights.com for ANNY Exchange. We will be interviewing new top talent skilled in animation, character design, digital scene lighting, concept art, watercolor painting, VFX, compositing, film editing, distribution strategy, film finance, and more. Our animation director was able to catch a glimpse of the Takashi Murakami exhibit at the Perrotin Gallery. Underwater diving captain, part of the treasure & elixir discovery team. Title: The Ani & Tetisheri time period. Air plane concept art in the world of Ani & Tetisheri. People often ask what time period is the world of Ani & Tetisheri set in. The answer is: The modern day. If we pull back and take a look at the world from the modern day we can see that even in major cities around the world there are parts of the city that are very old, or ancient, and parts of the city that are very modern coexisting. For instance we can tour the Colosseum of ancient Rome, and many other parts of the ancient city, and walk not too far across the street to modern conveniences like cars, and buses, and modern architecture. Also in New York City, many of the lands still have native american names, and landmarks right next to modern day skyscrapers. Or we can look at Tokyo-Kyoto with the seamless blend of ancient and modern. Concept Design Scene for the thunderstorm and weather shifting setting the mood for the big change within the hearts of the main characters Ani & Tetisheri. Concept Design landscape of ancient ruin city for Ani and Tetisheri the animated movie. Concept Design for the Ani & Tetisheri fantasy adventure animated feature film. An orrery sits a top the palace throne room of the Tourmaline Empress because the gemstone empires love to monitor the stars. Underwater scene as the diving excavators search for the elixir. Seaweed farm landscape concept design for Ani & Tetisheri. Concept Art for the design of one of the gemstone empire princesses in the world of Ani & Tetisheri the animated movie. Concept design for floating home in the water way scenes of Ani & Tetisheri the fantasy adventure animated movie. This is the part of the fantasy adventure, Ani & Tetisheri that would be considered science fiction. This is part of some of the aircraft that fly through the skies in the world. Complex landscapes like banana farms being developed. Ani & Tetisheri the full length animated fantasy adventure movie currently in production. 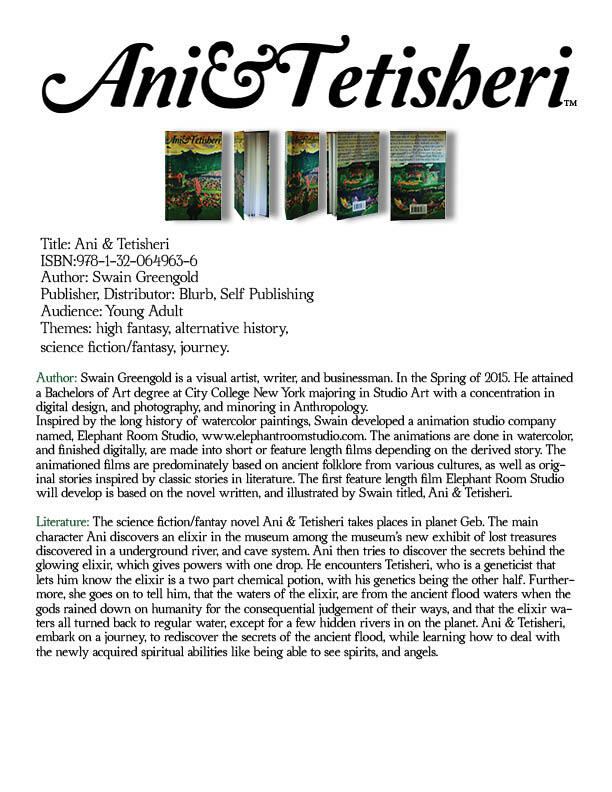 The story of Ani & Tetisheri is a mainly a fantasy adventure. However there are many elements of science fiction, where one can see a variety of flying aircraft and hover craft throughout the different countries in the scenes as the Ani and Tetisheri travel on their journey. Making of Ani & Tetisheri animated film. This is part of a series of flight animations. Background Art for our premiere movie Ani & Tetisheri, currently in development. Working out scheduling and contracts, and looking forward to recording original scores for the Ani & Tetisheri film, with the world’s best Choir Orchestra, the Gracias Choir. Some Concept Art for Backgrounds for the animated movie, Ani & Tetisheri. Worldbuidling in Ani & Tetisheri. Airplane concept art inspired by the aerodynamics aircraft engineer of the 19th Century Victor Tatin. In most design, or creative projects everything starts low tech. With a pencil and paper. Here is one of the sheeps making an appearance in the opening scenes of Ani & Tetisheri. This is a Beulah sheep. First in a series of storyboards, for our first full length film Ani & Tetisheri. Here is a still frame image of our first short animation, Jacques-Yves Cousteau “Ocean Caves”. This is based on a snippet in one of the underwater adventures Jacques Cousteau would go on to explore marine life, and biology. He was also an inventor and co invented a underwater breathing apparatus called the aqualung. We will have some work from our 10s series showcased at the 10 Seconds International Animation Festival 2016 in Seoul, South Korea this summer July 14-17. This is our first animation festival feature. Character design of the bar headed goose, also known as the indian goose. This goose is the main character of the our animation short, Sea Birds The Indian Goose. What is Animation? What is Fine Art? Can there be Animation Fine Art? Gallery Owner Ms. Garis answers the question profoundly. The standard term: Frames per second, fps, but it is more like illustrations per second, ips. Drawings turn to movement as the indian goose in animated. What is Art What is Animation. What is Fine Art? Can there be Animation-Fine Art? Today Swain takes a trip to the opening of the show “New Paintings” by Ilya & Emilia Kabakov at Pace Gallery in Chelsea New York City. Sea Birds The Indian Goose Animation Short. 24 illustrations per second. The Indian Goose lands through gusty winds on the mountain tops of the Himalayan Plateau. The Indian Goose also known as the Bar Headed Goose, is scene here walking. One of the star characters in the upcoming animated short, Sea Birds The Indian Goose. Hello World! Visual treat here, Sea Birds The Indian Goose, our first animated short is almost done. Soaring through the sunset sky above water, the bar headed geese star in Sea Birds. Frame by Frame sequential drawing of the bar head geese. This was a study of the movement the geese make as they waddle. Akua Mc. is featured here, filming behind the scenes production of our animation short, Sea Birds The Indian Goose. with such clients as: HBO, Bravo, GE, JetBlue Airways, we could not go wrong. This flyer is becoming a collectors items. 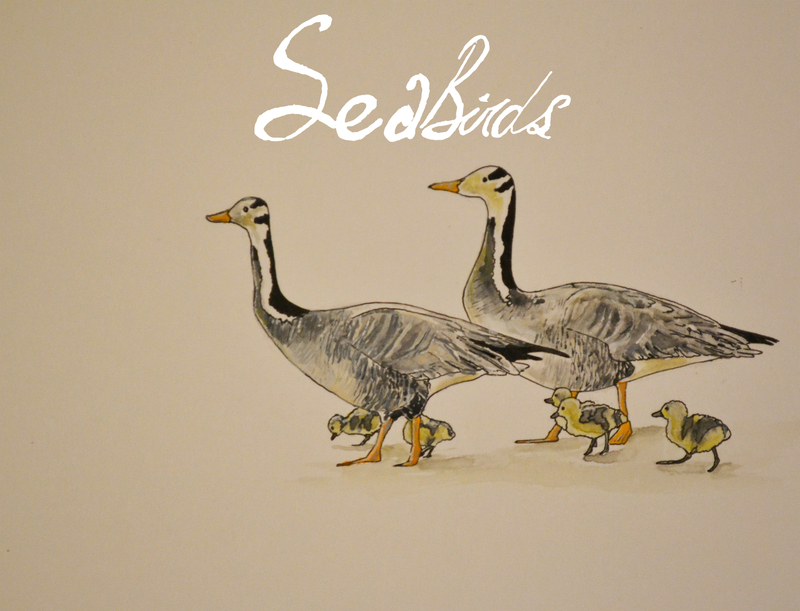 Sea Birds The Indian Goose, Coming Soon. Part of a series of animation shorts, this is based on the short story: The Indian Goose. The Sea Birds animation short has inspired a short story based on the plot of the animation. Being that the main character is the Indian Goose. We found it fitting to extend the title to, Sea Birds The Indian Goose. Group Lessons: Are offered to those located in the New York City area. The lessons will take place at various office studios that will be rented for that day, and will be a minimum of 1 hour to 8 hours long, and opened to everyone of all ages. Lessons are also opened to those that travel from other states or countries. For those of you that complete the lessons exceptionally well, you will be eligible to join the animating team in the production of our upcoming animations. Most of the lessons will be taught by the Director of Elephant Room Studio, Swain Greengold. This ticket is good for 3 to 7 people for 3 hour minimum up to 8 hours. Ticket is good for 1 group session, for 1 day. Once ordered, an email will we sent to you of the Manhattan studio office location, days, and times available. purchase voucher at our online store, here. 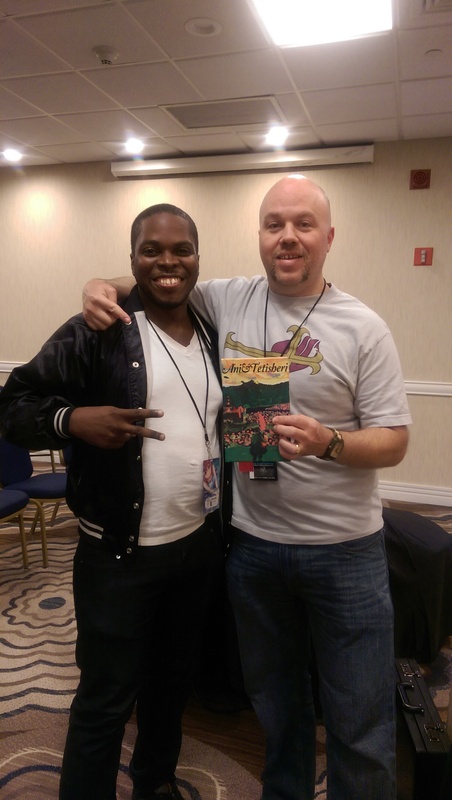 Elephant Room Studio Director, Swain Greengold presents his fantasy/science fiction novel Ani & Tetisheri at Liberty City Anime Convention to Tyler Walker. Ani & Tetisheri serves as the plot to our first feature length animation in production. Tyler Walker is an American voice actor, ADR (automated dialogue replacement) director, ADR engineer and Line producer for FUNimation Entertainment. Mr. Walker has done work on such animations as: One Piece, Full Metal Alchemist, Attack on Titan, Fairy Tale, and more. 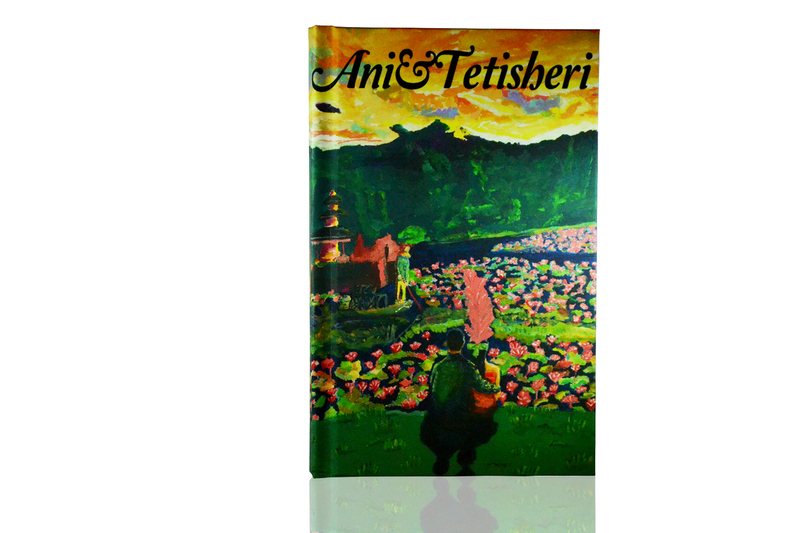 You can find the Ani & Tetisheri novel in our online store, here. 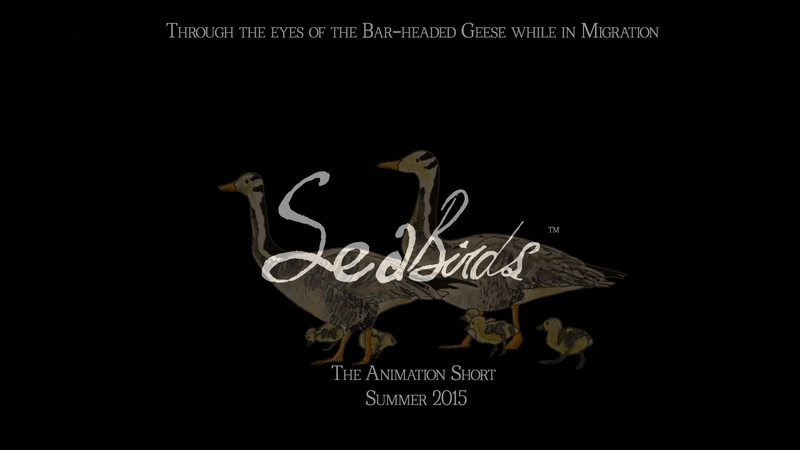 The first draft of Sea Birds started out as a black and white short animation for a title sequence, but now evolved into this full color landscape narrative of the bar headed geese. As Sea Birds production comes to a close, and we get ready to wrap up our first animation, and first animated short. 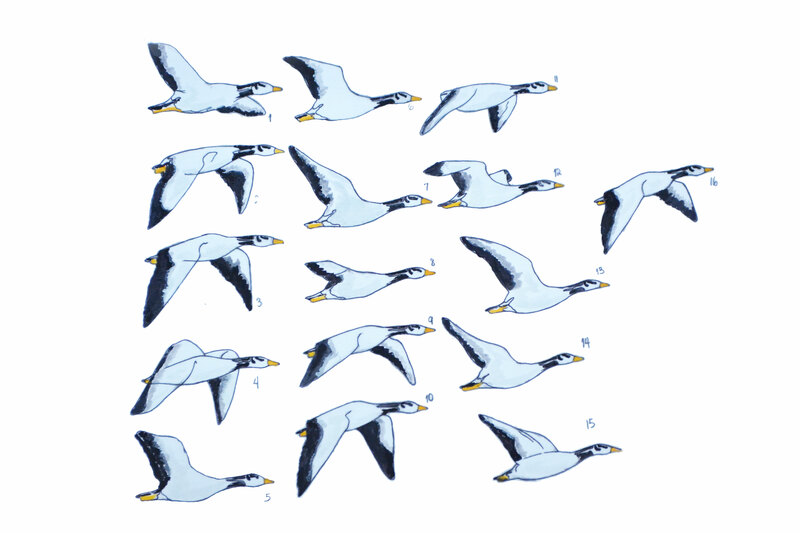 Take a look at where the Sea Birds animation came from black and white to color. Like the history of animation which started out with black and white animated shorts, and then transitioned to color full length features with the production of Snow white by Walt Disney in 1937, Sea Birds aesthetically embodies this history. Bar Head Goose frame by frame makes for great visual pattern. 62 frames make up the full walk cycle of this unique looking goose with the two stripes on it’s head. Sea Birds animation short production. 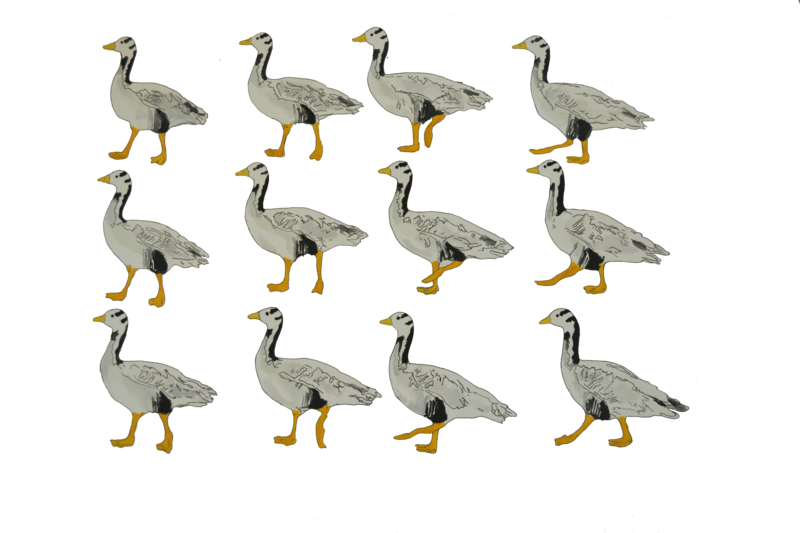 The anatomy of motion, will be evident in this finish frame by frame animation of the bar headed goose walking. Like us on Facebook! Sea Birds production video documentation. Behind the scenes, hand crafted animation. Although the digital process has made animation easier and more precise over the development of the field of animation, nothing beats the subtle details of animations drawn by hand, and painted by hand. Why paint by hand? Because paper absorbs watercolor, and gouache in ways varying ways that can not be duplicated by a machine. 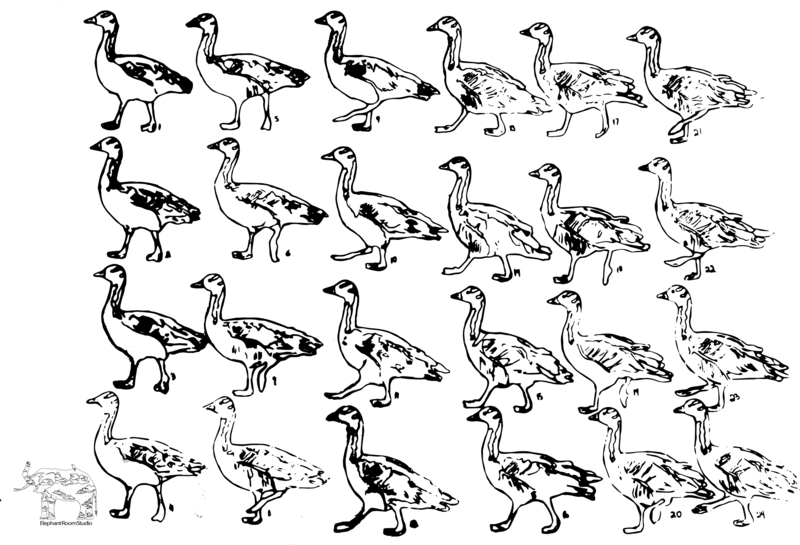 The best place for the computer, is in the film editing stage, and the image editing, and production stage. By hand, is the starting point, and the foundation of animation, as well as many of the visual arts. Another video in the series of videos documenting the animating process of the bar headed goose, the main character of the Sea Birds animation. 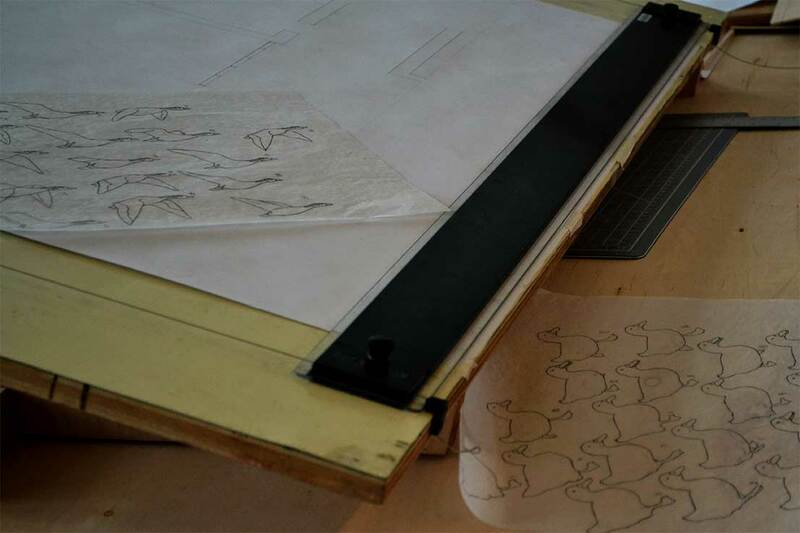 Drawing the frames that will allow the bar headed geese to walk. Behind the scenes here at Elephant Room Studio, take a sneak preview. 8.3.2015 The novel has arrived! Soon to be available in paperback. Get your copy today at, our Elephant Room Studio Store- www.elephantroomstudio.com/store. Ani and Tetisheri. Have you ever wondered what happened during the ancient flood? Or what the survivors from the flood legends were like? What about if you could get the elixir from the flood waters found in lost underwater treasure? 8.2.2015 From black and white to color. From pencil-pen and ink to paint and paint brush; the stages of development bring the bar headed goose to life. The numbers next to each bird represents the order of appearance of each frame. 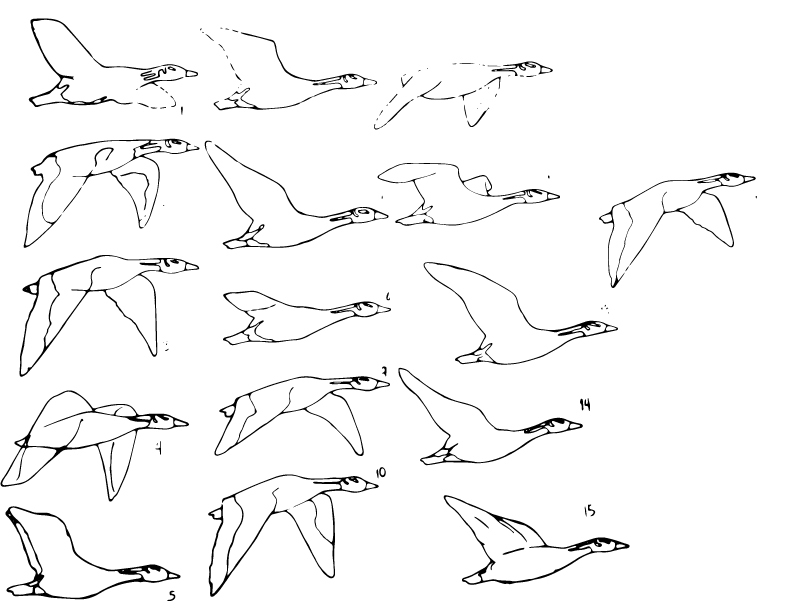 All these illustrated frames make up the movement of one bird. 7.27.2015 Sea Birds digital flyer. We turn our frames into images that can stand on their own. 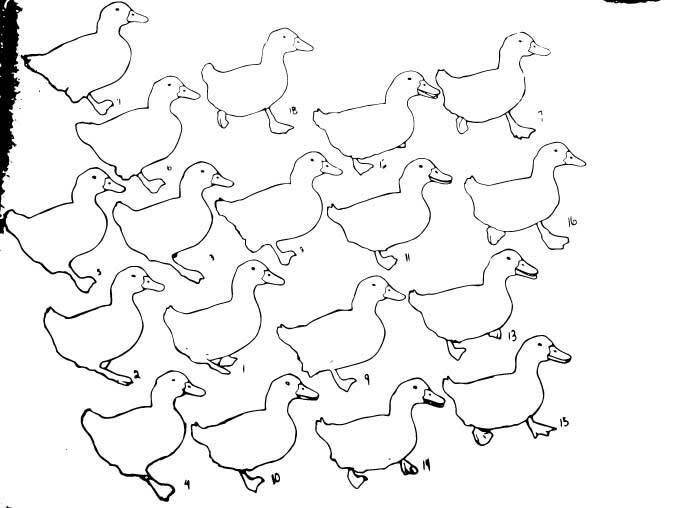 how many frames you think it takes to animate the walk of the bar headed goose depicted here? 7.25.2015 Premiering on our YouTube channel. Sea Birds. The first in a series of trailers. 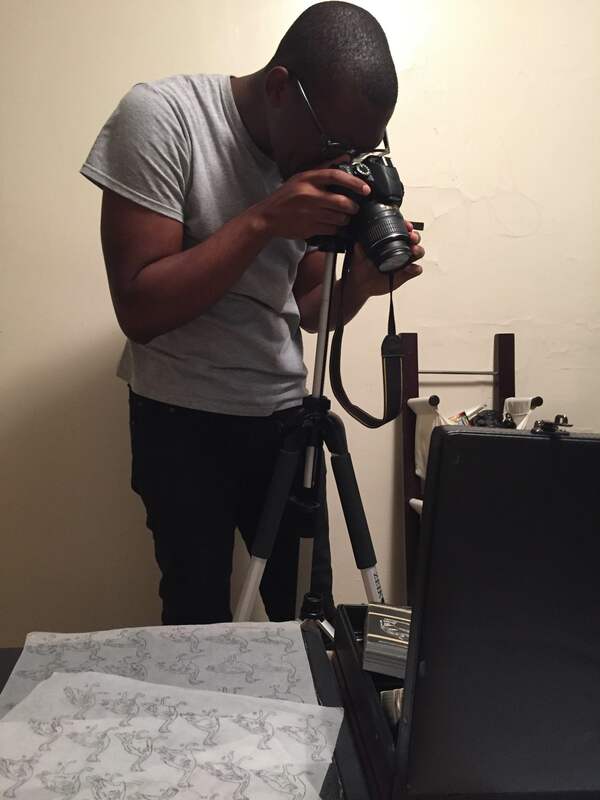 7.23.2015 Sea Birds- Behind the scenes of the production of the animation short sea birds. What does it take to make a Bar head goose walk in an animation. Look at the frames on the animators desk in this video. 7.18.2015 Soon. Elephant Room Studio will proudly present. Sea Birds: Official Trailer 1. We will be sending this trailer to the New York Comic Con panel for film screenings selection. In addition to international film festival screenings. 7.16.2015 This is one of the backgrounds of Sea Birds being developed, in the middle of one of the painting sessions. Our backgrounds are produced in several layers. First layer is in pencil that serves as the skeleton frame, the other is the inking of the lines made with pencil, and last layer are the layers paint. This background depicts Thokla pass, of the Himalaya mountains. This mountain pass is filled with cairns, which are erected landmarks made of stacked flat shaped rocks, that have been developed since prehistory, in various regions. The monuments can be used as a landmark, to show a designated location, but also as a memorial. In the case of Thokla pass, these cairns are assembled as memorials for mountaineers, and Sherpa people who live in Tibet by the base of Mt. Everest where being a mountaineer is a common profession, and helping mountaineers climb Mt. Everest is lucrative trade. One of the largest cairn memorials along the pass, is pyramid shaped and dedicated to Babu Chiri Sherpa, a mountaineer from Nepal. He is seen as a legend for climbing up to the peak of Mt. Everest 10 times. He is credited with the fastest ascent of Everest, (16 hours, 56 minutes). He also spent 21 hours on the summit of Mt. Everest without any supplemented oxygen. For humans, after 8,000 meters, or 26,246.7 feet, even though air in general contains 20.9% oxygen, it feels as though there is only 6.8%, and causes acute mountain sickness, which can lead to unconsciousness, even death. However, the Bar headed Goose, can fly at this altitude and higher, with no problem. Which makes the Bar headed Goose a very special bird, and animal overall. There are studies which show that the blood, lungs, breathing, flight patterns, of this particular goose are all adapted to journey at such a high altitude with ease. 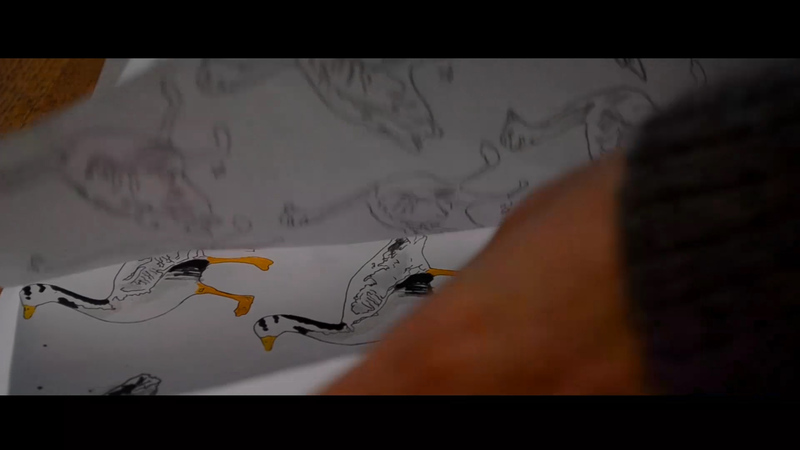 7.15.2015 The Pekin duck comes to life off of the pages of the animators sketch pad. This is the behind the scenes production video series of the Sea Birds animation short. Official trailer 1 will be ready July 22, 2015. 7.14.2015 The honeybee part of the Sea Birds, animation short landscape. F. W. EDRIDGE-GREEN http://adsabs.harvard.edu/abs/1945Natur.155..178E There is also the phi phenomenon– where images viewed quickly, one after the other gives the illusion of continuous motion. 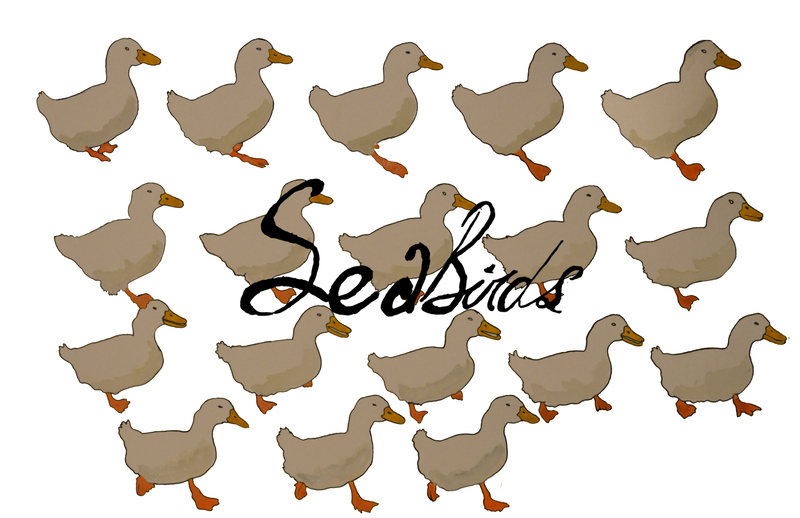 7.12.2015 Sea Birds Animation Short The Pekin duck, one of the many variations of birds that will play the supporting cast in the landscape, to the main characters, The Bar-Headed Geese. 7.10.2015 The bar-headed geese, with gosling. Journey with the bar-headed geese family stars of the Sea Birds Animation Short. 7.9.2015 The bar-headed geese (Indian Goose) migrate to welcome in the hatching of their goslings. 7.9.2015 Draftsmanship is the backbone of all our paintings, and animations. In the midst of drawing the bar-headed goose for the Sea Birds film. Take a look at the multifaceted production process. What does Sea Birds inspire you to create? 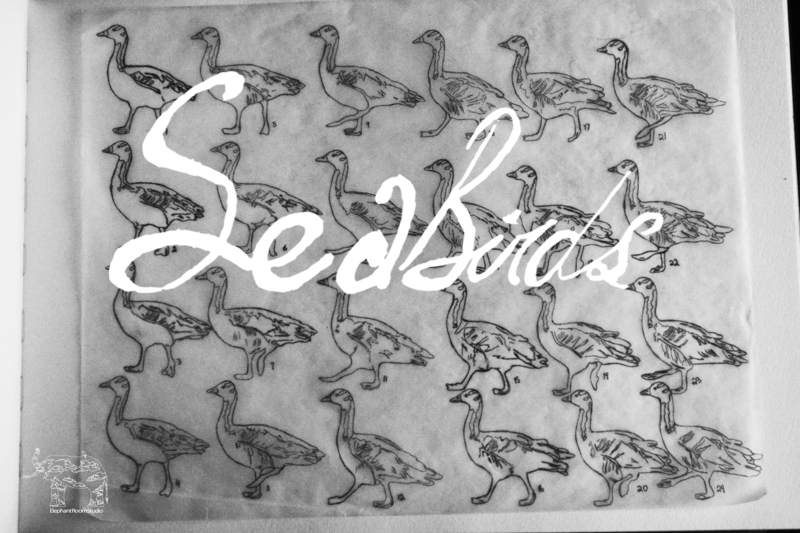 Sea-Birds-Poem-Flipbook 7.7.2015 Here is the 1st draft of the Sea Birds poem flipbook. 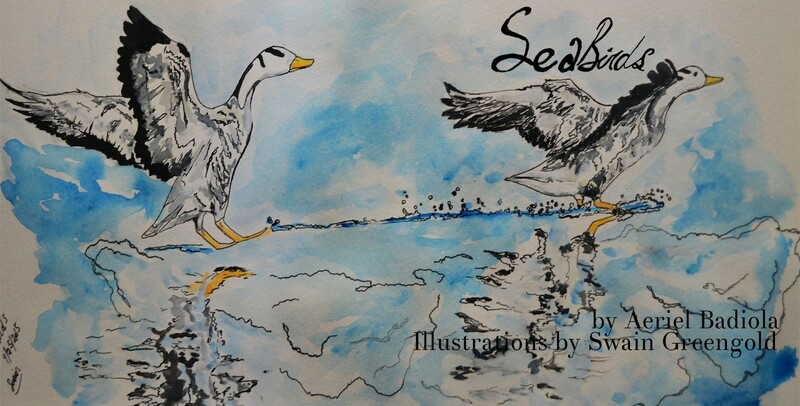 The Sea Birds is also a poem-flipbook, with the two poems that inspired the journey of the bar-headed geese (Indian Goose) in the Sea Birds Animation currently midway through production. 7.6.2015 The Sea Birds effect- We are a team of visual creators. We can create anything from architecture, paintings, animations, video, video games, collages, industrial designs, illustrations, sculpture, 3D CGI, furniture, ceramics, jewelry, clothes, books, accessories, and the list goes on and on. However, through working on the Sea Birds animation short, we have become unofficial ornithologist, which are scientist engaged in the study of birds. From the dazzling array of feather colors, to the adaptive genetics, and anatomy to meet the conditions of their habitats, which can range from mountains, cliffs by the ocean, ground nest by the lake, tree canopies, among many others locations, birds are something to be studied. We not only studied their wing flaps for accurate animating, we also studied everything pertaining to birds, especially the bar-headed geese, to capture a natural interaction with their environment that can teach, and inspire. Although the Bar-headed geese (known to be the highest flying bird on earth at up to and above 8,000 meters/26246.7 feet), are the main characters in the journey of the sea birds, they do fly by, or live among other feathered companions. The Kingfisher, is a little giant, as it can come in a range of colors, fly very fast, and dive into waters to catch fish as they swim. 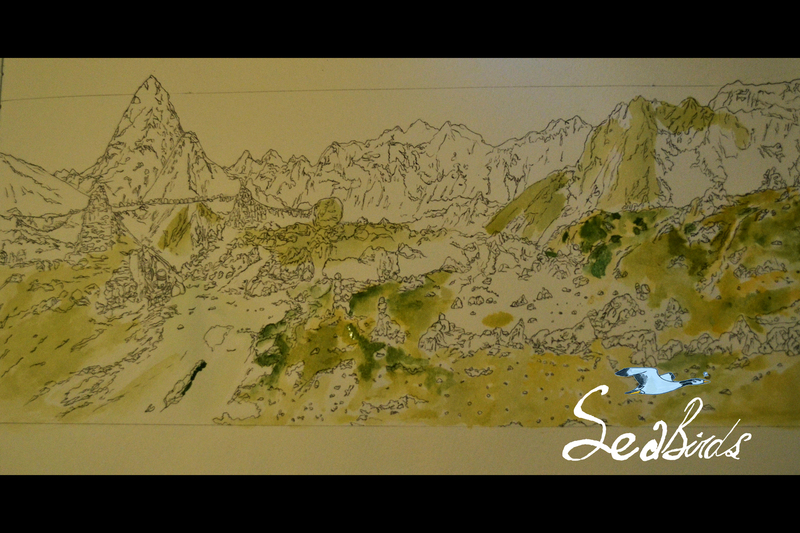 7.6.2015 In this element of production one of the background paintings for Sea Birds is being created. 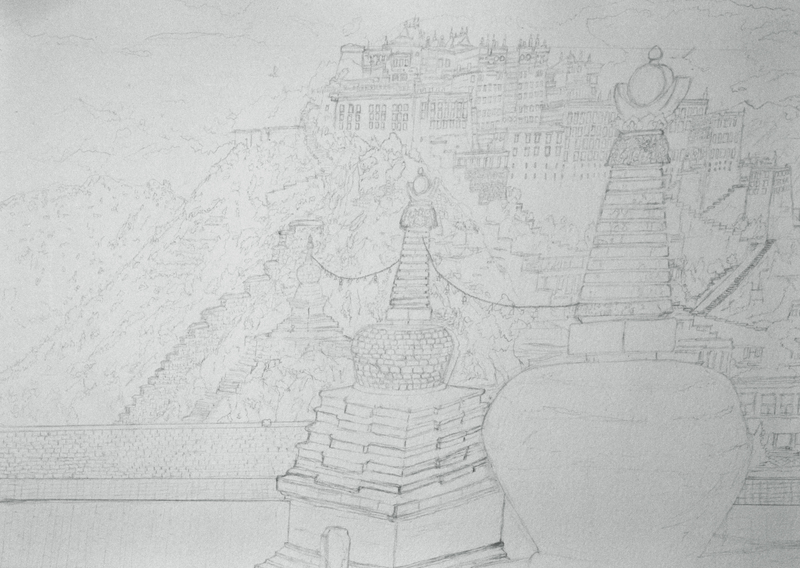 This is the Potala palace, in Lhasa, Tibet being painted in with watercolor and gouache, after previously being inked in. By adding line, there is structure, but with color, we bring to life this landscape. Seeing the bar-headed geese fly over this magical scene will animate this environment. 7.4.2015 The Sea Birds Animation short with its beautiful scenes are coming together. Here is a sneak peak of a rough animation before the final stages of production. The bar-headed geese are escaping the monsoon season as they fly north past villagers in India. 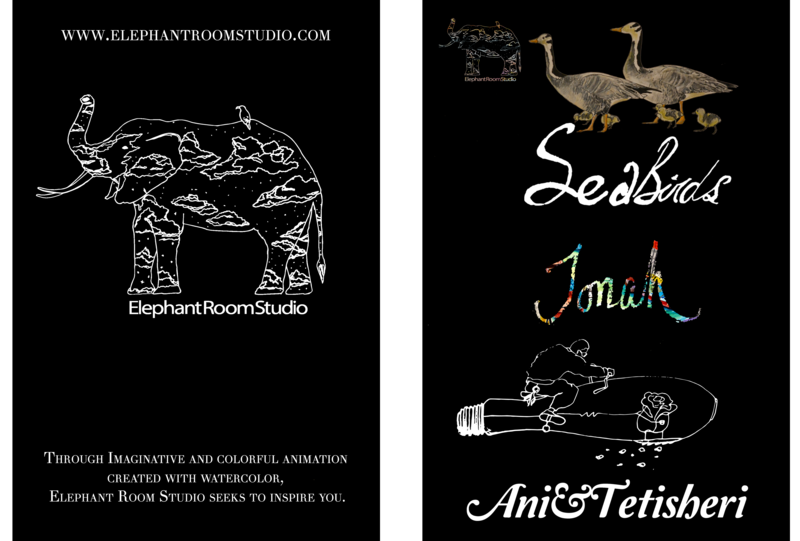 7.3.2015 Join us behind the scenes, as we produce Sea Birds, the first in a series of animated shorts, and Ani&Tetisheri our first feature length film based on the unique fantasy/adventure novel you can find at our online store. 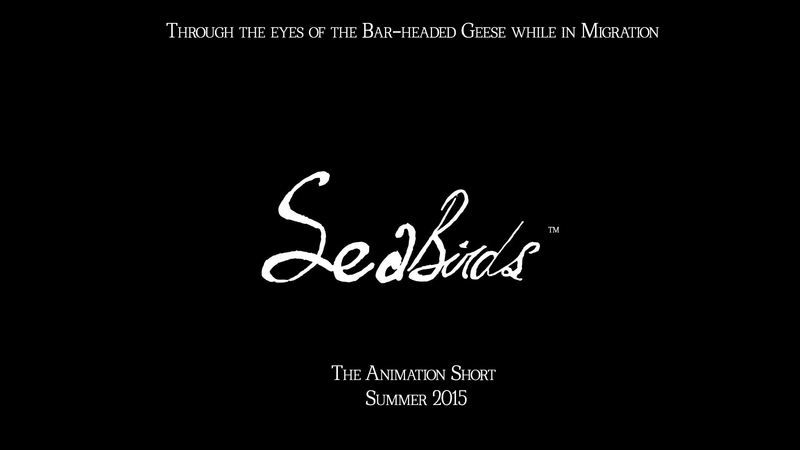 7.2.2015 Elephant Room Studio’s first animation short, Sea Birds is mid way through production. Later this summer, we gear up to debut this film to film festivals around the world, as we announce our presence in the legacy, and world of animation. Are you ready to journey through the eyes of the bar-headed geese? 7.1.2015 This is a background scene in development from the animation short, Sea Birds. This is the line drawings, before inking, and painting. The drawing serves as the skeleton of the background, which all the colors from the paint brings it to life, and also where all the animating happens on. The details are key to our captivating look. The many pieces, dots, and lines, make up the complex whole. The scene depicts Lhasa, Tibet. This location, located in the valley of the Himalayan mountains. The palace at the top of the mountain, is the quarter mile long, Potala palace, which is the primary home of the Dalai Lama. The Bar-headed goose, which is the main character of the Sea Birds short, flies through this very historic location on its way to it’s nesting grounds near by. 6.29.2015 This is the Elephant Room Studio logo, drawn by hand with pencil, pen, and ink, then scanned to the computer. The elephant is large, strong, but also nurturing, and also able to clear obstacles. Not to forget the elephant is very intelligent with excellent memory. A hallmark of nature, to look into the elephant is to see the clouds, and the stars beyond them. The elephant is assisted by the ox-pecker, which eats away all the ticks and parasites that can plague its body, while getting a meal at the same time. The essence of this logo is to express overlapping principles that unconsciously inspire a good message. 6.27.2015 This is a scene test for our upcoming animation short, Sea Birds. Seeing how each scene plays out is important in assembling a cohesive animation. We are describing our animation aesthetic as a “moving painting”, can you see why? 6.17.2015 Let your imagination soar and immerse yourself in the epic tale of Ani & Tetisheri! In this breathtaking novel join our main protagonists Ani and Tetisheri as they embark on a life changing adventure. Piece together the past to solve the history on the great flood. Use your imagination as your tool to envision the lush and beautiful scenery of Planet Geb. This is an epic tale you wouldn’t want to miss out on! We are currently developing two animations, titled Sea Birds, and Ani and Tetisheri Ani and Tetisheri is based on the fantasy novel written by Swain Greengold, and Akua Mc. Look for the novel in our store page. 6.13.2015 We like to animate every detail of a scene. Here is the frame by frame of a honeybee in flight. 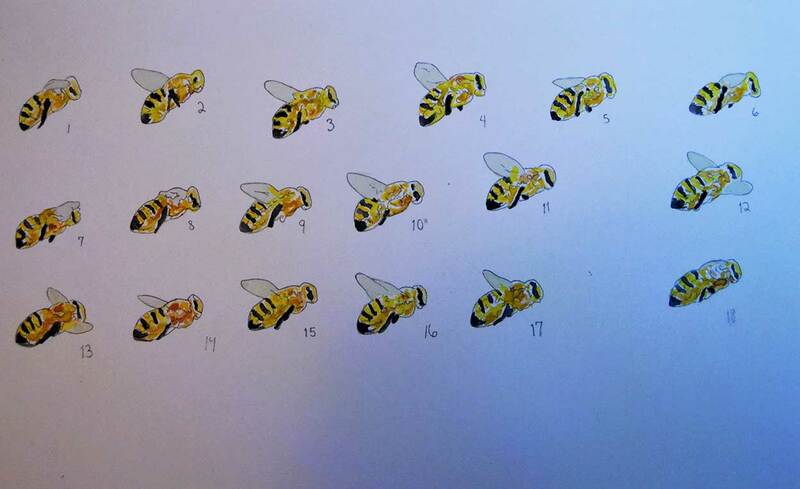 Will you be able to spot the bee going to a flower in the landscape scene? maybe, or maybe not. But details are what is key. 6.12.2015 The main star of Sea Birds, the bar-headed goose is drawn in frame by frame, this gif of the goose in flight shows the progressive efficiency of the drawn sequence in motion. 6.11.2015 Sea Birds Animation short, production After the digitally inked, printed, and colored in watercolor. We mainly use gouache watercolor to get deep rich colors. 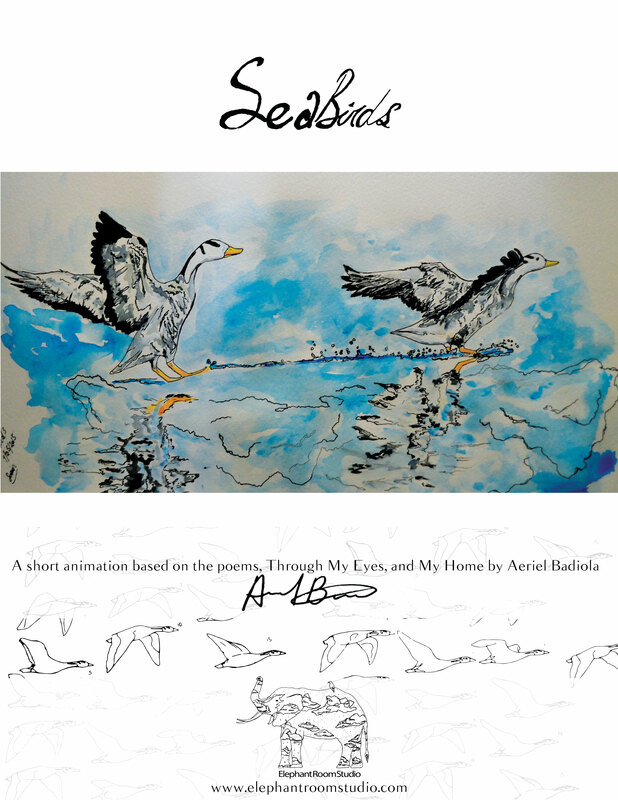 6.11.2015 Sea Birds Animation Short, production The frame by frame digitally inked drawings of the bar headed geese,and the call ducks, which will make an appear in the Sea Birds Animation in HD, made in watercolor. 6.11.2015 The is the line drawing the the art work for the cover of the Sea Birds flip/poem book, and poster. Done in regular mechanical pencil before painted over, these photos are like a piece of capture time. Once inked in and painted over the original line drawing almost doesn’t exist. The bar headed geese, are said to be the highest flying bird on earth flying even heard flying above Mount Everest in the Himalayan mountain ranges of Tibet. 6.10.2015 Behind the scenes at the work desk, in the process of creating the animation short Sea Birds. 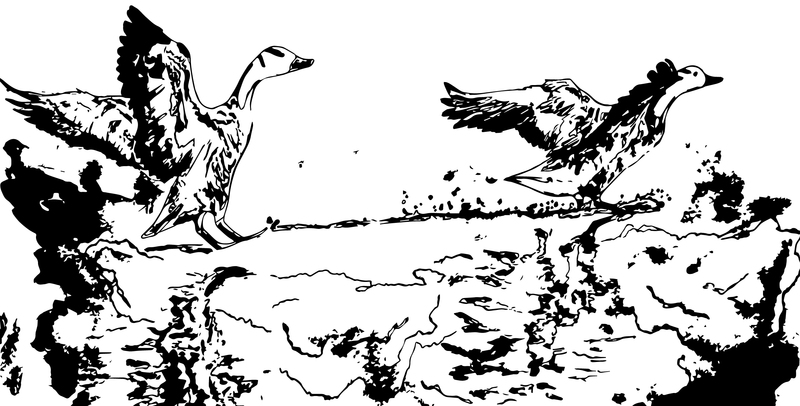 These are frame by frame drawings of two types of waterfowl: the call duck, and the bar headed goose. Our frame by frame drawings are sometimes created on tracing paper, with fine point mechanical pencils for detailing. 5.3.2015 Poster for the Short Animation titled Sea Birds, being developed this summer. The estimated runtime will be 40 minutes. We hope you will enjoy it. The story is based on two poems written by the talented writer Aeriel Badiola. Look for more post to come regarding our development of Sea Birds, and then the final animation releasing soon. We look to have a special screening event, in New York City, and showcase the animation at film festivals. Ani & Tetisheri animated feature length film is currently being developed. It will be the first full length feature produced by Elephant Room Studio, proceeding the release of the animated short titled Sea Birds based on a series of poems.